Get help now. No hidden fees. Get your pet questions answered now. Fast response, 95% of all calls are answered in 28 seconds! Chat now with a pet expert. The easiest way to get answers without making a call, perfect when you're at work or in a noisy place. Great when you don't need to call right away. Most messages are answered within 4 hours. 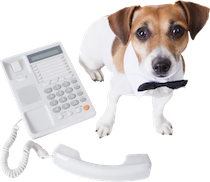 Unlimited support for your pet 24 hours a day, 7 days a week! Call, chat, or email as much as you need . Peace of mind for one low price . 75 % off additional pets for yearly plans . If this is is an emergency, take your pet now to the nearest veterinary hospital.